The Visual Arts Center of Richmond has kicked off a construction project that will add an additional art studio to the facility. Construction begins on July 23 and includes: the consolidation of staff offices, the creation of the new Vivian Keasler Letterpress + Books Arts Studio and the transformation of the current letterpress studio into a third clay studio. 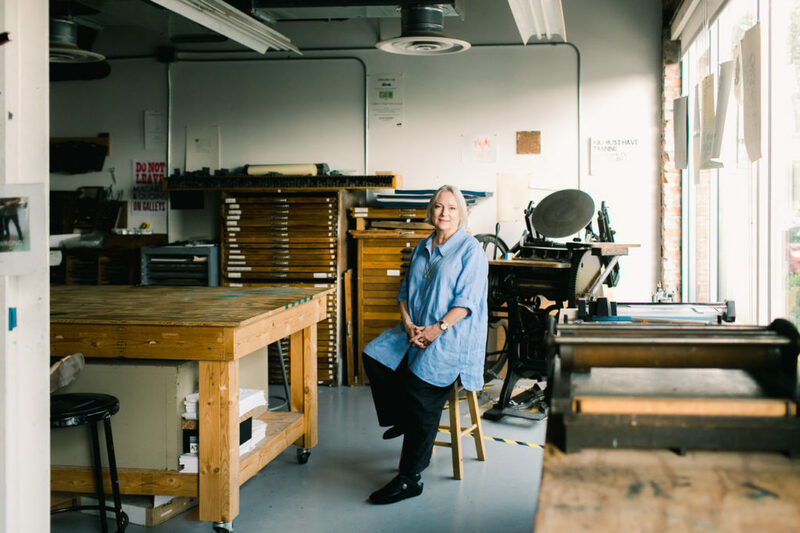 Thanks to a generous gift from a loyal friend, a vacated section of the staff offices will be transformed into the new Vivian Keasler Letterpress + Book Arts Studio. The 596-square foot, mixed-use space will accommodate creative writing, letterpress printing and book-making classes. In this new studio, students will be able to work across disciplines to create beautiful prints, books and other text-based work. Because the new studio adjoins the printmaking studio, VisArts will also be able to offer even more cross-disciplinary classes. To make room for the Vivian Keasler Letterpress + Book Arts Studio, VisArts is reconfiguring its existing staff offices to accommodate its team in a smaller footprint. The new space will boast a more open floor plan, bright workspaces and the chance for staff to collaborate across departments. The reconfiguration will also create an administrative entrance into the building, which will relieve congestion at the front desk. VisArts plans to turn the newly vacated letterpress studio into a third clay studio. The center’s clay classes have longer waiting lists than any other medium and clay classes have grown even busier with the launch of the open studio access program this year. Expanding into a third space will allow the center to increase its clay offerings by 50 percent, upgrade storage and extend available kiln time. Both studios will be operational by the fall 2018 session and VisArts’ fall catalog includes several classes that will be held in the new spaces. To make a donation, visit the give page.